After much exhaustive research, with summer now nearly behind, I share herein a list of some pubs near (for me) and far that are worth a visit anytime of the year. So, here, in no particular order, are a few worth a stop for a sip of the good stuff. If not specified, these pubs, like me, all reside on Long Island. 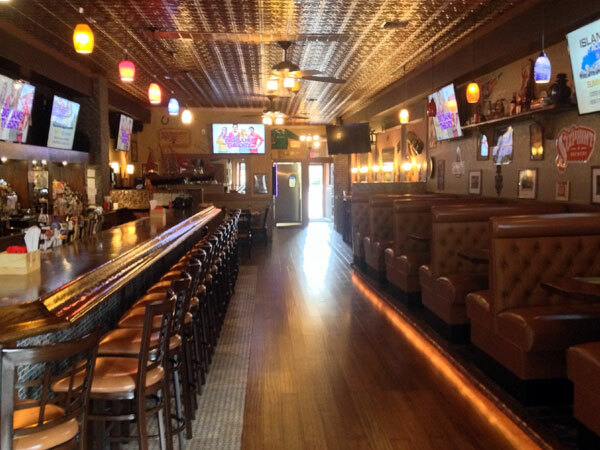 Connolly Station - This popular pub in Malverne is a great place for a meal with family and friends. Besides tts Irish menu, they have Italian and TexMex dishes as well and all are expertly done. I had a shell steak here that was worthy of acclaimed New York City steakhouse. An added attraction is traditional Irish music on weekends. Cobblestone's Pub - Despite the name, this Queens, NY establishment is more like a New York neighborhood bar than an Irish pub, but it's worth a trip for its superb kitchen. The dining area is large, possibly because of its nearness to the Queens County Court House across the boulevard. I had the best charbroiled burger of the summer here, better than the gourmet burger chains. Plenty of screens for watching the games, be it soccer, football or baseball. Ri Ra - A favorite of locals and visitors alike in Portland, Maine. It has the decor and feel of the real thing, so much so that I was surprised to learn it's part of a multi-state chain. Great bartenders and authentic Irish menu, even a typical Irish breakfast. Kitty O'Hara's (right) - This new Baldwin pub has a mod feel and a menu that goes beyond the Irish specialties. What's different here is the attractive patio dining. Entertainment on summer nights is mostly country rock, but traditional Irish music takes over in fall and winter. Flanagan's - This large Lake Ronkonkoma pub is run by Limerick man Dave Crowe, who named it after his ma. She would be proud of her son, who has been a giant in the pub scene on Long Island. Very popular and often SRO, it's a great place to stop for a meal or some Irish coffees. Lilly's of Long Beach (left) - This cool-looking new pub in Long Beach is more like a modern Dublin emporium than a country pub. Welcoming staff and sidewalk tables make it a pleasant summer dining scene. Extra credit: It's owned by a Tipp man. Landsdowne Pub - This cavernous bar/restaurant in Connecticut's Mohegan Sun Casino unfortunately doesn't have a true Irish feel to it, despite the old Dublin prints on the wall and the many Jameson Reserve bottles on display. Perhaps a few authentic Irish bartenders would help? Irish hospitality is renowned in Irish Pubs all over the world. Yes, and It works both ways. Was at Trinity Pub Chicago (5943 N. Northwest Hwy) where a group of J1'ers and non official J'1ers presented the owners with an Irish flag signed by their group who was so appreciative of their adopted Chicago Irish bar. It is framed and proudly on display. What a great group I am sure they will accomplish great things to come.